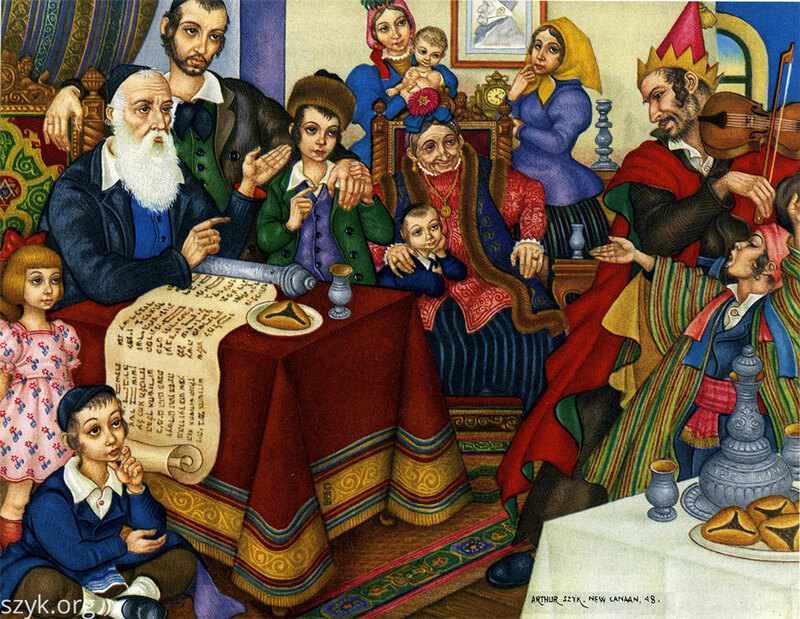 Arthur Szyk, Purim, The Holiday Series. New Canaan. Shown here is a beautiful depiction of Purim by the famous artist, Arthur Szyk (1894-1951). 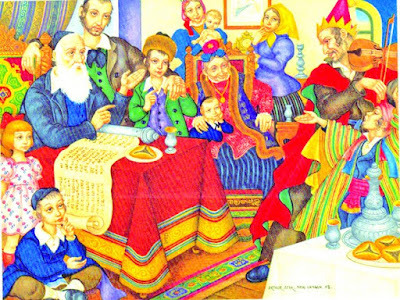 Characteristic of his work, it employs a multiplicity of Purim themes, including a megillah, various plates of hamentashen, a broad spectrum of generations of Jews, and people dressed as characters from the Purim story.